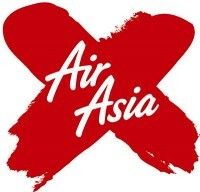 AirAsia X Bhd, a long-haul low-cost airline is scheduled to be listed in Main Market of Bursa Malaysia on 10th July 2013. The Initial Public Offering (IPO) consists of institutional offering of up to 538 million shares and retail offering of 252 million shares. Out of 252 million shares made available for retail offering, 150 million shares are for Malaysian Public at RM1.45 per share. The institutional price will be determined by way of book building while for the retail application, RM1.45 is payable upon application. If the final retail price is lower, the difference will be refunded. The IPO exercise is expected to raise RM859.3 million and the proceeds will be used for capital expenditure (RM280 million), repayment of bank borrowing (RM285.8 million), general working capital (RM255.5 million) and payment of listing expenses (RM38 million). Kindly visit AirAsia X webpage for more information about Air Asia X Berhad. Currently, AirAsia X does not have any formal dividend policy. The table below is the financial summary for AirAsia X Bhd. For those who are interested in AirAsia X IPO, you may subscribe at ATM machines or via Internet Banking. The subscription period is opened until 19th June 2013 at 5pm. Tentative balloting date is on 24th June 2013 while the allotment date is on 9th July 2013. AirAsia X stock name in Bursa Malaysia is “AAX”. View AirAsia X prospectus in Bursa Malaysia webpage. What do you think about AirAsia X IPO? Are you going to subscribe? 1 million dollar blog, what do you think about this IPO ? Calculated PE is 23x based on last year after tax profit. Relatively high compared to reasonable PE (about 10-15x) in Bursa. May not be good buy. Any second opinion? Mind to share how u calculate the PE? I look at the prospectus, the fully paid-up shares post IPO is 1,777,777,787 shares. PE= 1.45/0.0825 = 17.6 times. Yes, it is relatively expensive. I may skip this IPO. May I know how do you determine whether such IPO is expensive or not. Thanks! One of the way we can look at PE ratio & compare the number with other companies in the same industries. Why the figure will be positive on 2012 one… cos i look at this website, the results not that good. This is full 2012 figure while on the website you show, it is only 6 months figure. 1 million dollar blog, what criteria are you considering before subscribing an IPO ? Thanks…. This is some of my personal criteria. 5. Always in profit for the past a few years & increasing (means there is growth). Sometimes, I also subscribe to IPO of small companies just for speculation but the finance sheet of these companies must be good. For Airasia X, I don’t think on the listing day will have any drop due to it’s one of more popular companies in Malaysia. It should be going north on the opening day but how long it can sustain is another issue. Ill be skipping this IPO. 🙂 Good luck to all! Decent opening price should be around RM1.43 which was slightly below the original subscription price of RM1.45 and (exactly) the average price between the lowest fair value of RM1.20 by Hong Leong Investment Bank and the highest fair value of RM1.66 by Inter Pacific Securities.